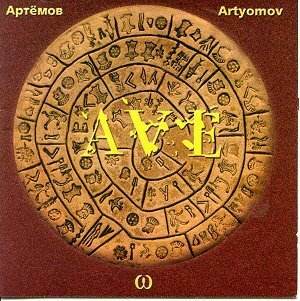 Artymov is a sly and succinct melodist indebted as much to the romantic gene of Prokofiev as to his other declared influences: Honegger, Varese and Berio. In Scenes (small instrumental ensemble) he is also in touch with popular jazz culture without striking any false notes or seeming to be at all contrived. Star Wind (similar instrumental forces to Scenes - violin, cello, horn, piano, glockenspiel) remains terse and sensitive though the communication is a shade more oblique than the straight-speaking Scenes. Directness and accessibility and a slowly turning stratospheric line are also much in evidence in the Ave Maria for Marina Mescheriakova (soprano), boys choir and chamber orchestra all conducted by Victor Popov. Tempo Costante is for chamber orchestra and despite being of the same vintage as Scenes is as tough as anything by Stephan Wolpe although its strained thematics do occasionally relent in touching vulnerability. The recording is very close and a touch overwhelming. The clatter of the harpsichord adds a jagged belligerence to the proceedings. Pieta is a substantial piece for cello (here taken by Aleksandr Rudin) and orchestra. The closest approximation I can come to is to relate the piece to Bloch's Schelomo if it had been edited by Allan Pettersson. There are some breathtaking strokes of genius in this music - witness at 5.45 the turn and slithering glissando of the strings. An extraordinary experience. All the recordings derive from the composer's own archive and were made in Moscow in 1994 during the Artyomov festival.